This will give you a great excuse to have cakes in your breakfast. 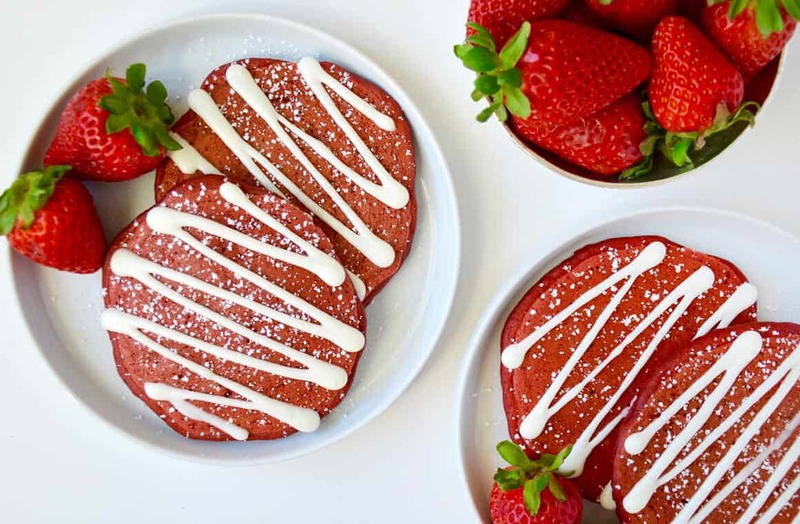 Red velvet cakes and pancakes seem to have Christmas written all over them with that vibrant and beautiful red colour. There’s absolutely nothing more fitting or festive breakfast to serve up on Christmas morning. Much like the traditional red velvet cake, these cocoa pancakes are served with a delightful butter and maple syrup garnished over it. 1.In a large bowl, combine the flour, sugar, baking cocoa, baking soda and salt all together. 2.Place 2 cups in each of five resealable plastic bags or containers. 3.Store in a cool, dry place for up to 6 months. 1.Pour the mixed ingredients into a large bowl. 2.In a small bowl, whisk the buttermilk, eggs and food coloring. 3.Stir into dry ingredients just until moistened. 4.Pour batter by 1/4 cupful’s onto a greased hot griddle; turn when bubbles form on top. 5.Cook until the second side is golden brown. 6.Serve with butter and syrup.